Construction work has begun on Portland’s section of the Air Line Trail. 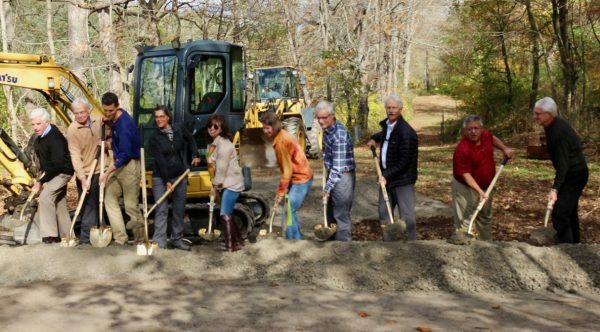 The ground-breaking ceremony took place at the Keegan Trail Head on Saturday, October 28. The Jonah Center congratulates the Air Line Trail Steering Committee, co-chaired by Rosario Rizzo and Louis Pear, for successfully guiding the project to this point. The Jonah Center played a key role in starting the project and recruiting Steering Committee members in 2014. More information on the history and goals of this project can be viewed here.